This June our Pet of the Month is Louie. Almost 3 years ago he was discovered to have Atrioventricular Insufficiency (AVVI) during a routine investigation for an episode of acute pain, and has been managing very well since that time with appropriate medication. AVVI is a degenerative disease that damages heart valve leaflets as it progresses. This damage prevents heart valves from closing properly, allowing blood to leak backward into the atrium. This leakage eventually results in a heart murmur detectable via auscultation with a stethoscope. Valve leakage impairs cardiac function and circulation, ultimately leading to congestive heart failure (CHF). Estimates indicate that 10% of all dogs seen in primary care veterinary practices have heart disease. As dogs age, the prevalence of heart disease reaches more than 60%. This increase is especially dramatic in small breeds, with up to 85% showing evidence of valvular lesions by 13 years of age. AVVI occurs most often in small- to medium-sized breeds of dogs. Breeds most susceptible to AVVI include the Boston Terrier, Cavalier King Charles Spaniel, Chihuahua, Miniature Pinscher, Miniature and Toy Poodle, Pekingese, and Pomeranian. Ultimately, all small breed dogs are at risk for CHF due to AVVI. When it comes to managing canine congestive heart failure (CHF) with the goal of improving and extending life, time matters. Though the early stages of heart disease can progress slowly, once clinical signs appear, immediate treatment is needed. 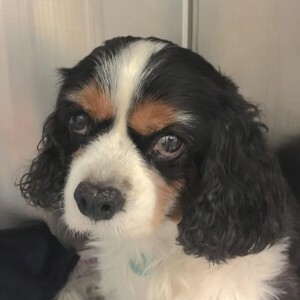 In fact results of recent longterm studies show that the early administration of appropriate medication to dogs with mitral valve disease who have echocardiographic and radiographic evidence of cardiomegaly (heart enlargement) results in prolongation of the preclinical period (period before any illness is evident) by approximately 15 months, which represents substantial clinical benefit.